To make available the findings and proposals to a wider public, the internal strategy document was further developed and released as open government process model in July 2011 under www.kdz.or.at/de/open-government-vorgehensmodell. 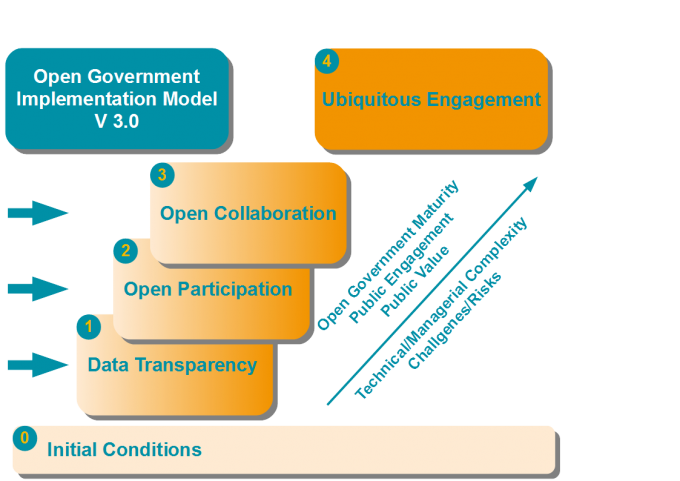 The process model was reused by authorities at home and abroad as a basis for their open government initiatives and has over 8,000 downloads. The version 2.0 was provided in a revised version 2.5 for public consultation and has now been released in version 3.0 in German and English. Because now countless publications on Open Government in English and German exist, it points on the question „How can public administrations manage the implementation of Open Government ?“ as focus of the Open Government process model. The aim is therefore to develop practical recommendations for the procedure for politics and administration.